This article is an excerpt from Awara Russian Labor Law Guide written by our leading labor law lawyers. It gives a description and analysis of major legal issues that may affect those who want to conduct a business in Russia. This Guide will certainly serve as a reliable aid in going through this maze of regulative acts and decisions and help the reader to avoid gross mistakes that might result in significant but quite unnecessary losses. The Russian labor laws apply to all labor relations on the territory of Russia, regardless of the legal status or origin of the employer and the employee. Thus, a labor relation involving a foreign company and a foreign individual working in Russia is primarily regulated by Russian law. Exceptions may be provided for by international treaties of Russia or by special laws. Most bilateral treaties providing for such exceptions have been entered into with the countries of the CIS. The most significant of special laws is the Federal Law On Legal Status of Foreign Citizens in the Russian Federation Even the employment of a foreign chief executive (CEO or General Director) would come under Russian law (Art 11 Labor Code). It should be noted that the employment of a Russian person or even a foreigner sent to Russia would be governed by Russian law, even when the foreign employer does not have a Russian presence. Organizations, which involve radioactive and dangerous nuclear work. Laws provide for other positions for which the employment of foreign nationals is limited. In addition to permanent restrictions which are directly defined in legislation, the government of Russia has the right, under Article 5, paragraph 18.1 of the Federal Law “On the Legal Status of Foreign Citizens in the Russian Federation”, to annually establish a permissible share of use in Russia (or the territory of a single political subdivision of Russia) of the labor of foreign nationals in a particular sphere of the economy. In 2016, this proportion is set, also for retail trade and sports, by Decree of Government of the Russian Federation dated 12.12.2015 No. 1358. The Russian government also annually approves quotas for issuing invitations to foreign citizens for work permits and entry of workers (the maximum number of work permits). As a work permit is a document required for employment, the total number of foreign workers in Russia is directly dependent on what quota is set for a given year. For 2016, such quotas were established by the Regulation of the Government of the Russian Federation dated 12.12.2015 No. 1359. A list of occupations that are not covered by the quota currently is set by the Order of the Ministry of Labor of Russia dated 28.05.2015 No. 324n. The above limitations can be a serious obstacle for hiring foreign workers. However, they for the most part do not apply to a special category of workers – highly qualified foreign specialists – for which the law imposes special requirements. A foreign company may assign its employees to work in Russia in a partner-company or a subsidiary (secondment). The obligation to receive a corresponding work permit also applies to seconded employees. The tax laws contain specific rules for secondment, in accordance with which secondment is not deemed to form a permanent taxable presence for the sending entity. As of January 1, 2016, severe restrictions will go into effect on the use of Secondment in Russia. Read more about this in the section “Agency Work”. Personal confirmation for the foreign citizen to work in Russia, i.e., the work permit proper. The process of receiving these permissions is regulated by the rules of the Federal Law On the Legal Status of Foreign Citizens in the Russian Federation dated 25.07.2002 No. 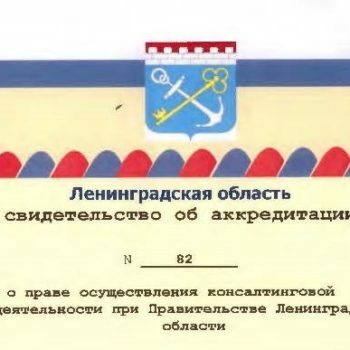 115-FZ and Order of the Federal Migration Service of Russia dated 30.10.2014 No. 589. This procedure applies not only to labor contracts with foreign workers for work in Russia, but also to civil contracts for work and services (Art 2 of the Federal Law on the Legal Status of Foreign Citizens in the Russian Federation). Before hiring a foreigner, the employer must obtain a permit to use foreign workforce. It cannot be transferred to another employer, and foreign workers employed on this basis cannot be given up to another employer. The employer is entitled to use foreign workers only in the capacity and the area which were indicated in the permit. It can invite foreign workers and enter into a labor contract with them only after receiving the permit. In some cases, an employer may not receive such authorization, for example, if an employee arrived in Russia under a simplified procedure not requiring a visa (Art 13 of the Federal Law on the Legal Status of Foreign Citizens in the Russian Federation). It is also important to receive an appropriate visa corresponding to the purposes of stay in Russia. The visa issue is governed by the Federal Law dated 15.08.96 No. 114-FZ “On the Procedure for Entering and Exiting the Russian Federation”, and subordinate legislation, primarily the Decree of the Russian Government dated 09.06.03 No. 335. As a rule, a foreign worker needs a work visa or (in some cases) business visa. It is not always easy to receive a work visa, which is why foreign businessmen often seek multiple business visas (for a period up to 1 year) instead. However, a Decree adopted by the federal government on October 4, 2007 No. 635, laid down a rule that a foreigner on a business visa cannot spend more than 90 days in Russia during a 180-day period. This new regulation effectively means that during one year the holder of business visa cannot spend more than 185 days on Russian territory. As for the work visa, the law provides that it is given to a foreigner for a period of 3 months with the possibility of its subsequent extension by the local subdivision of the Ministry of Internal Affairs at the place of registration of the foreign citizen by way of issuance of a multiple entry visa for the period of contract of employment (whether a labor law or civil law one), but not longer than 1 year for each subsequent visa. Extensions are granted by the territorial office of the Federal Migration Service. In order to obtain a visa one must receive in advance an invitation to enter Russia, which, depending on the purpose of the visit, can be issued by various State bodies. For instance, the Federal Migration Service and its local subdivisions issue invitations to enter the Russian Federation upon the application of Russian citizens and interested legal entities, as well as foreigners having a residence permit. A business visa may be issued to a special category of workers – highly qualified foreign specialists – and only for the purpose of negotiations on further work for up to 30 days upon written request of the employer (paragraph 29.1 of Government Decree dated 09.06.2003 N 335). In the event of a successful negotiation, a work visa can be issued, which is required to work on the territory of Russia for the duration of the labor contract, but no more than three years, with the possibility of extension for a period not exceeding three years. Nationals of some states may enter Russia without a visa (Azerbaijan, Armenia, Belarus, Kazakhstan, Kirghizia, Cuba (up to 30 days), Uzbekistan and Ukraine). Below we shall call them “non-visa” foreigners. However, such foreigners are obliged to obtain a migration card (on the migration rules, see below). The procedure and timing for migration registration of foreign citizens in Russia are defined by the Federal Law “On Migration Registration of Foreign Citizens and Stateless Persons in the Russian Federation”. These statuses confer unequal rights on their holders. In particular, the periods of a foreigner’s living in the country may vary depending on his status. As a general rule, the period of temporary stay of foreign citizens is determined by the validity period of their visa. The period of temporary stay in Russia of foreigners who do not need a visa cannot exceed 90 days (for some categories the Government may establish different terms). If such a citizen has entered into a Labor Contract under which he must work in Russia, his period of stay shall be extended up to the term of such a contract, but not longer than one year from the entry of the foreign citizen into Russia. The right of “non-visa” foreigners to temporary stay is confirmed by their migration card. The period of temporary stay in Russia for foreigners who do not need a visa, being highly qualified specialists, and the period of temporary stay in the Russian Federation for members of their family, is determined by the period of validity of the work permit. In order to obtain the right to permanently reside, a foreigner must first be given the status of temporary resident. Temporary residence permits are issued within the quota annually established by the Russian government with attention to demographic and other factors and distributed among political subdivisions of the Federation. The procedure for determining the quota is set out by Decree of the Government of the Russian Federation dated 04.04.2003 N 193. Some people can be issued such permits outside the quota – for example, those who have made certain investments in Russia or married a Russian citizen (Art 6 of the Federal Law on the Legal Status of Foreign Citizens in the Russian Federation). The temporary residence permit can be annulled in many cases indicated in Art 7 of the Federal Law on the Legal Status of Foreign Citizens in the Russian Federation, too, such as if the foreign citizen was abroad for more than 6 months (it is not quite clear from the law – 6 months in a row or during the period of the permit’s validity), or if the foreign citizen repeatedly violated the migration registration rules. The period of a temporary residence permit is 3 years. During this term, but not earlier than one year after its start and not later than 6 months before its end, the foreigner may apply for a permit to reside permanently (Art 8 of the Federal Law on the Legal Status of Foreign Citizens in the Russian Federation). This permit is issued for 5 years, and can be subsequently extended for the same period an unlimited number of times. It can be annulled for a number of reasons, including absence from Russia for 6 months (Art 9 of the Federal Law on the Legal Status of Foreign Citizens in the Russian Federation). In practice, until recently it was very difficult to become a permanent resident. Foreign citizens having the right to temporary residence may work only if they have a work permit. They can only work in the territory of the political subdivision of Russia in which they have the right to reside. Moreover, foreigners who have the right of temporary stay may work only within the borders of the region where they received permission to work (parts 4.2, 5, Art 13 of the Federal Law on the Legal Status of Foreign Citizens in the Russian Federation). Therefore, only those who have the right of permanent residence do not have such territorial restrictions. The law, though, permits authorized state bodies to provide for exceptions, that is, cases when foreigners who have the right of temporary residence or stay are allowed to work outside the respective regions. Such exceptions are set out by the Order of the Health Ministry of the Russian Federation dated 28.07.2010 N 564n). Pedagogues and scientists invited to the Russian Federation as health workers (doctors) for relevant activities in the territory of an international medical cluster. Persons who have been granted temporary asylum on the territory of the Russian Federation – before the loss of their temporary asylum or deprivation of their temporary asylum. In many countries work permits are issued as rights for the individual to work in that country. It should be noted that in Russia this is not the case. The work permits and the corresponding confirmations pertain to the company in whose name they are issued. They are non-transferable and allow for only one employment. If a person takes up positions in two or more separate legal entities, then a separate work permit and confirmation is needed for each one. The obligation to receive a work permit is not tied to the question of salary payment. A work permit is needed regardless of whether salary (or other compensation) is paid or not. Appointment of a foreigner to a position in a Russian company leads to the need to obtain a work permit. The patent system to hire foreigners to work in Russia was introduced in July 1, 2010. At the very beginning of its introduction the patent system had a very limited effect. It applied only to Russian citizens hiring visa-free foreigners under employment agreements or services contracts for personal, household and other similar purposes not related to business activities. However, since January 1, 2015, the patent system has been extended to all legal entities, individual entrepreneurs and other legal formations in the case of hiring visa-free foreigners to work, so it became very frequently used. In this case, the foreign national does not require a work permit, but is required to obtain a patent for a job in Russia. The patent system involves a more simple procedure of employing foreign employees, as well as a special procedure of taxation of the labor of these employees (Art 227.1 Tax Code). The law that introduced the first version of the Russian patent system also supplemented the Federal Law on the Legal Status of Foreign Citizens in the Russian Federation Art 13.2, which establishes a special procedure for hiring foreign employees who are highly qualified specialists (HQS). This category of employees is entitled to obtain a work permit and work visa for up to 3 years (with the possibility of an unlimited number of renewals for 3 years each time). Employers hiring HQS are not required to obtain permission to engage and use foreign employees. Such employees are not subject to quotas. The employee must have experience, skills and achievements in a particular field of activity. These qualities are evaluated by the employer. Wage criteria do not apply to foreign nationals involved in the “Skolkovo” project. Rules on highly qualified specialists do not apply to employees engaged in religious activities, and servicing customers in retail trade. Upon their application, highly qualified specialists, as well as their family members for the duration of the agreement, may be issued a residence permit confirming the right of permanent residence in Russia (Art 13.2 (27) of Federal Law on the Legal Status of Foreign Citizens in the Russian Federation). Foreign citizens can declare themselves HQS and contact the office of the federal migration authorities, a diplomatic mission or consular post of Russia. This information is posted on the website of the federal immigration authorities in Russia, so that potential employers can have access to it. If the employer is interested in such a specialist, he can obtain a business visa for employment negotiations. Legislation provides for special conditions that must be included in an employment contract with a highly qualified specialist. Imposition of fines on the employer (the head of the company, company officers, as well as individuals independently hiring foreign employees), or administrative suspension of activity (Arts 18.15, 18.16 Code of Administrative Offences). Imposition of fines on the employee with deportation from Russia of the employee in question (Art 18.10 Code of Administrative Offences). The amount of the fine for legal entities can reach RUB 1,000,000 (USD 25,284). It has been said that some tax inspectorates have raised the issue of deductibility of expenses made regarding an employee without a valid work permit. It has even been claimed that the authority of a head of an entity can be cast in doubt when he does not possess a proper work permit (confirmation). Such treaties, for example, have been entered into with the Republic of Moldova, the Republic of Armenia, the Kyrgyz Republic, the Republic of Lithuania, the Republic of Tajikistan, Republic of Uzbekistan, the Republic of Poland, the Czech Republic, the People’s Republic of China, the Democratic People’s Republic of China, the Socialist Republic of Vietnam, the French Republic, and the Republic of Korea. Federal Law dated 25.07.2002 No. 115-FZ “On the Legal Status of Foreign Citizens in the Russian Federation” // Collected Legislation of the Russian Federation.2002, No. 30, Art 3032. Order of the Ministry of Labor of Russia dated 28.05.2015 No. 324n // ATP ConsultantPlus 2016. Federal Law dated 18.07.2006 No. 109-FZ “On Migration Registration of Foreign Citizens and Stateless Persons in the Russian Federation” // Collected Legislation of the Russian Federation. 2006, No. 30, Art 3285. Decree of the Government of the Russian Federation dated 04.04.2003 No. 193 // Collected Legislation of the Russian Federation. 2003, No. 15, Art 1364. Federal Law dated 19.05.2010 No. 86-FZ “On Amending the Federal Law “On the Legal Status of Foreign Citizens in the Russian Federation” and Certain Legislative Acts of the Russian Federation” // Collected Legislation of the Russian Federation. 2010, No. 21, Art 2524.